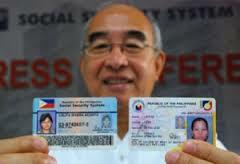 In our hope and mission to help members of the SSS, we are posting here the full contact details of SSS Vigan branch with their office location address and hotline numbers.On the other hand, you can find the full list of branches here – http://www.sssphilippinesonline.com/branches/sss-branches/. This entry was posted in Branches, Corporate, Hotline and tagged ilocos sur branch, sss vigan. Bookmark the permalink.